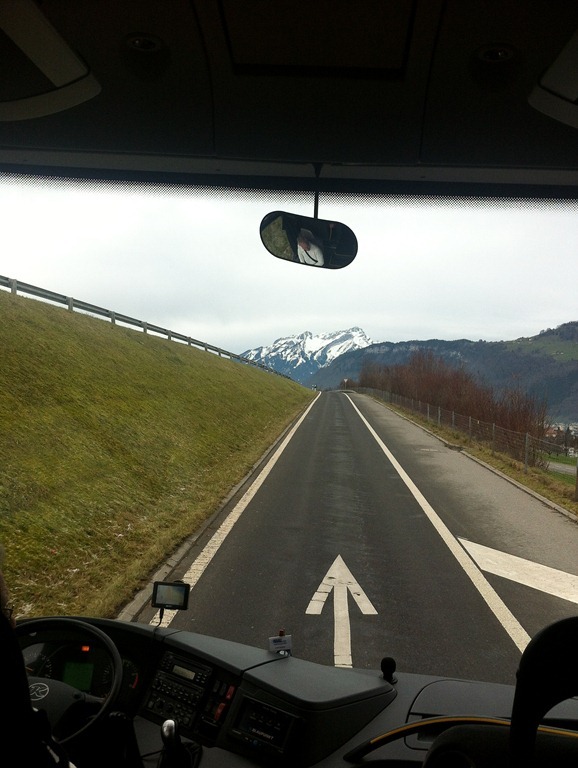 This way to Lucerne, Switzerland! 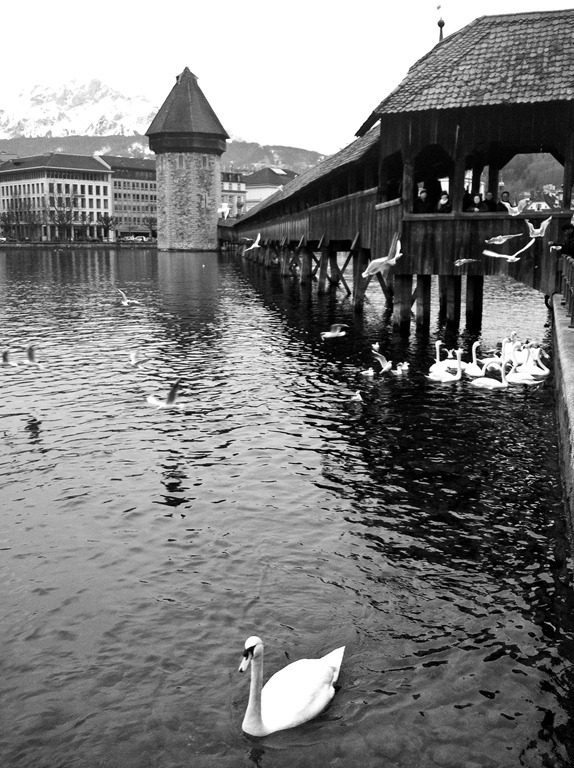 Lucerne has been my favorite city so far. 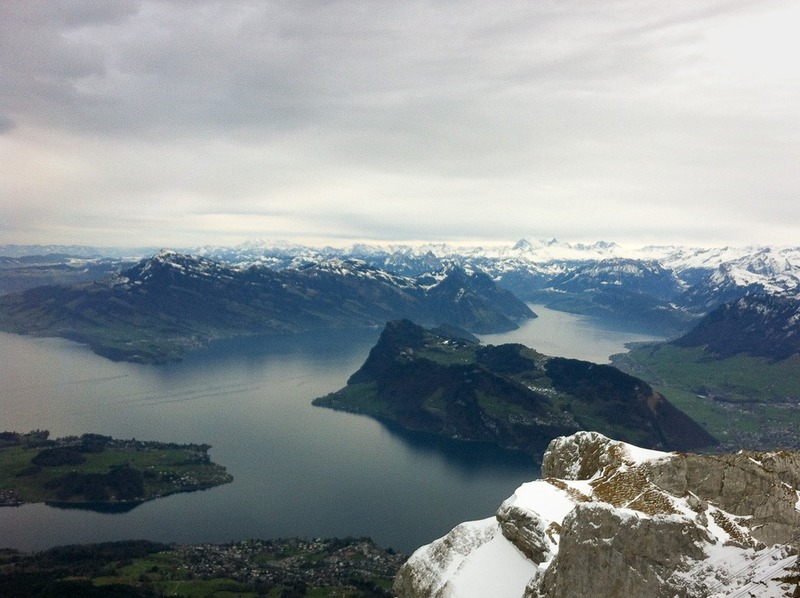 It is tucked away in the mountains of Switzerland, a neutral country home to rich chocolate, classy watches, nifty knives, sharp and holey cheese, and of course, the stunning Swiss Alps. Switzerland is able to claim sports legends such as Roger Federer. And if that isn’t enough, this snow capped country also houses some of the world’s safest banks. It was here that we settled for our New Year’s Eve celebration. After a long day of driving, a quick shower, and some dinner it was off to the pub crawl. This pub crawl consisted of stops at two bars and a dance club as the final destination. Pub crawl was a bit misleading of a name – this was a pub triathlon! The walks between each of the three locations were long and cold enough to sober you up no matter how much alcohol you managed to take in the stop before. To top it all off, the DJ at the dance club was at least 50 years old and rarely played anything from today’s generation. Despite all of this, we managed to have a great time bringing in the New Year. The first day of 2013 was absolutely magical. 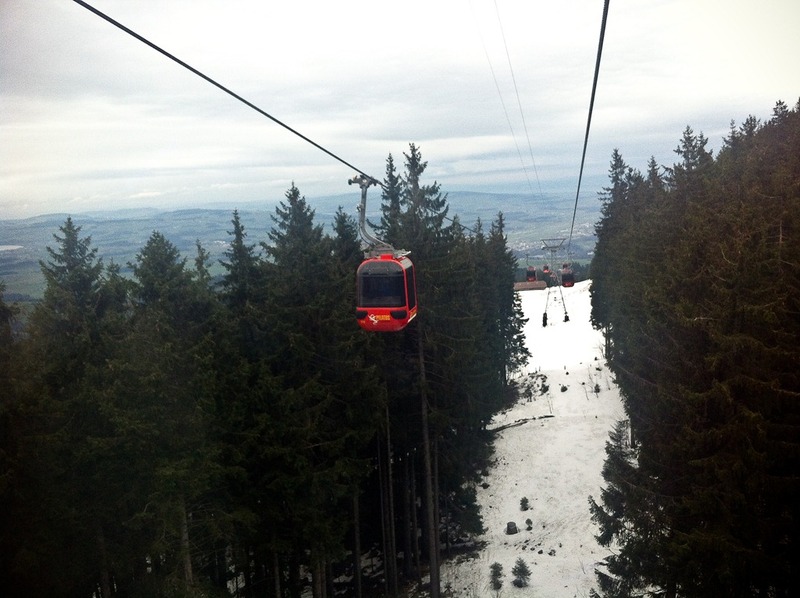 Off to Mt. 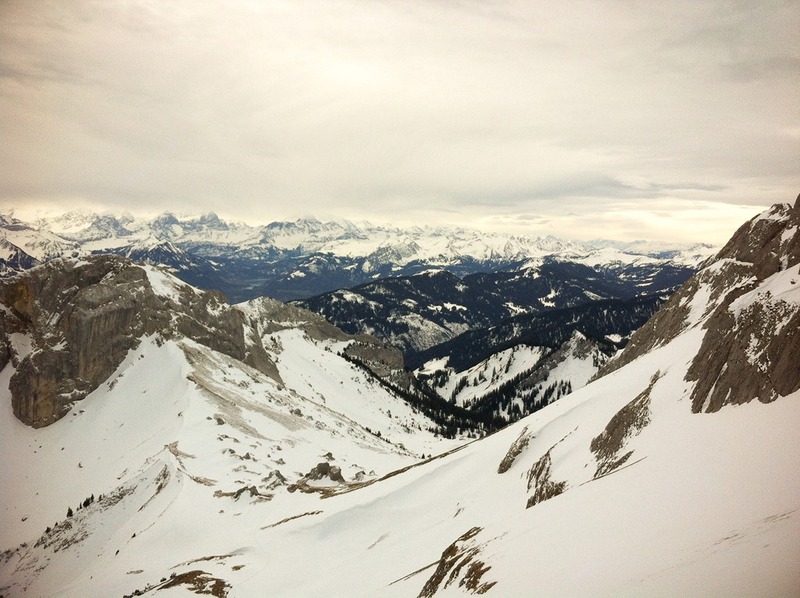 Pilatus we went – a 7000 ft. summit we reached by an enclosed ski-lift type device. As we rose foot by foot, the view got increasingly spectacular. 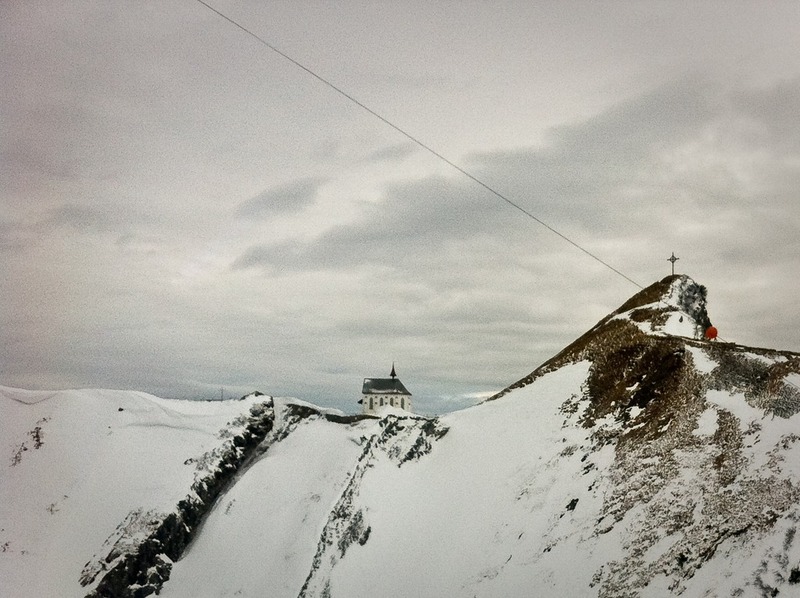 Most surprising to find on the way up: a tiny church standing alone on the ridge of a mountain. When we reached the top my breath was instantly taken away. Every way you turned you were greeted by layer upon layer of mountain ranges. The serenity at the top of that mountain was unlike anything I have every before experienced. In attempt to thaw from the cold and windy summit, we returned to the bottom of the mountain and headed into town for a full fondue lunch. After 3 courses – cheese fondue, a potato and vegetable plate, and ice cream in the shape of the Swiss flag – it was time to do some shopping and exploring. The swans gliding around Chapel bridge added an extra element of beauty to the historic structure. 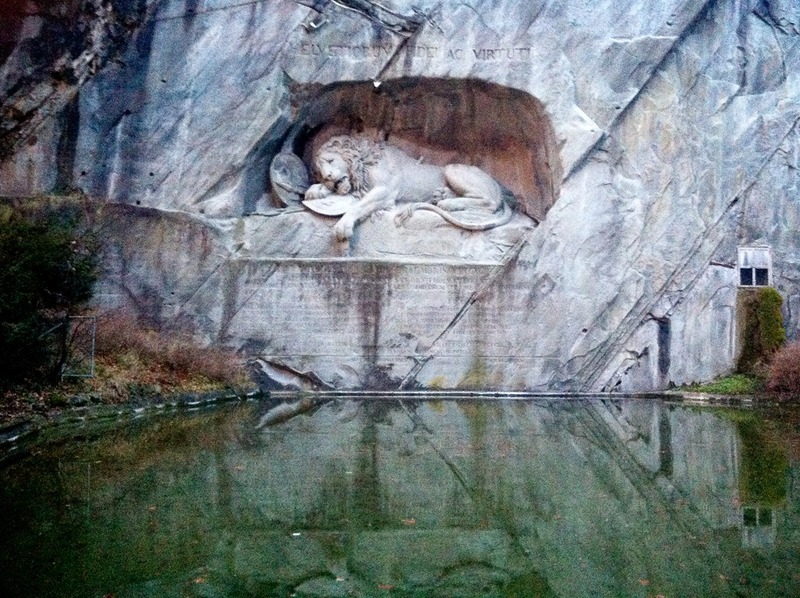 But my favorite find was a large lion statue carved straight into a stone cliff. The statue depicts a lion being stabbed in the back and the look of agony on the creature’s face led Mark Twain to describe it as the saddest statue he’d ever seen.